I only have what is posted. I’ll leave your comment up in case anyone else can help. This is all I have, sorry. You may be able to use the 82 diagram, unless the 81 to 82 model year is when they switched from the old ‘ceramic’ style fusebox. If that’s the case, it’ll be different. I just don’t remember the changeover year off the top of my head. FYI, these diagrams match the 1981 model as well. Thank you for the contribution. Appreciate very much! no problem just let me know and I’ll remove it. Either way keep up the great work. Thanks you so much, these are quality diagrams! 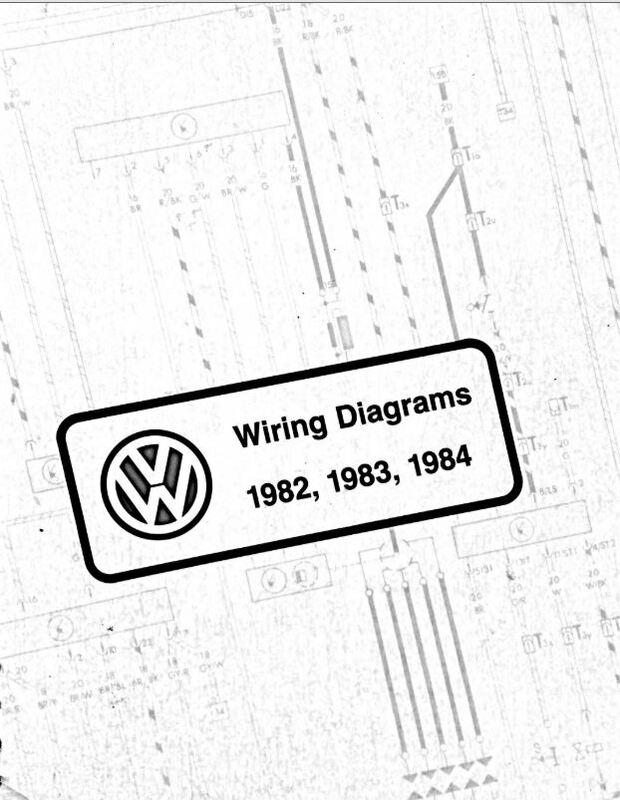 looking for the fuse box diagram for 1982 vw rabbit diesel pickup. This is all I have. I haven’t looked at the docs in a while, but I’m pretty sure this book covers the 82 pickup. My 1982 VW CLS Jetta 2 doesn’t charge the battery the alternator keeps burning the rotor pinion every time I replace it. I’m not sure what the cause is, but I’d start tracing all the wires looking for a short somewhere. These PDF’s are super helpful for me but I still need wiring for the 18 pin dash cluster plug. Every manual I have found has the other 16 pin cluster and plug illustrated. Do you know anything about these 18 pin dash clusters? This is all I have… I think I’ve messed with the 18pin style, but it’s been a while. If I did, I didn’t have a diagram! Best of luck. Any clue if this 1984 (Vanagon) is actually for 1984. There were two different model engines that year, air cooled and water cooled. It’s a factory manual. I’m not sure when it was produced, but this is the info that the guys at the dealership had at their disposal (for better or worse…). I haven’t looked at the diagram – but look for signs of the cooling system (coolant temp sender, etc). Maybe that’ll narrow it down for you.